The 28th annual Open Studios Art Tour began its first of three weekend-long exhibitions in Santa Cruz on Oct. 5. The first week featured artists from North County while this upcoming weekend will feature South County artists. The third and final weekend is known as “encore weekend,” where a handful of North and South County artists will come together, giving attendees another opportunity to catch up on what they have missed out on during the tour and buy some artwork. Attendee Neda Tomasevich commuted from Berkeley to admire the art and finds the Open Studios Art Tour to be impressive. “The organization of the tour allows you to see a whole variety of media,” Tomasevich said. The variety of media presented at this art tour includes paintings, sculptures, ceramics, hand-woven baskets, jewelry, digital photography and glassblowing. Tomasevich’s friend Carol Wong, a Santa Cruz resident, inspired her to attend. Wong said seeing the art brings change to her everyday life. “Being a computer programmer, [I find that] art is a great way to see people’s creativity,” Wong said. She appreciated the exhibition’s variety and quality, and said that she favors this event over all the shows she’s been to in Miami and San Francisco. For that reason, she’s been attending Open Studios year after year since 2008 and encourages her friends to do the same. LINDA A. LEVY, a UCSC alumna, displayed her various works of art at the Open Studios Art Tour this past weekend. Linda uses charcoal, water-soluble pens and a computer program called Painter to create her works of art. Photo by Daniela Ruiz. Ultimately, most of the artists at the Open Studios Art Tour have spent their entire lives using art as a platform to express their creativity. A UCSC alumna with a degree in biopsychology, Linda Levy spent thirty years as a research scientist until she retired in 1999, allowing her attention to be fully devoted to her artwork. To date, her art has been featured in over 30 exhibitions, for the first time including the Open Studios tour. Prior to being featured in this exhibit, Levy was the chair of Open Studios for four years and is currently one of the arts commissioners of Santa Cruz County. By doing so, Levy said she has a voice in the community which allows her to spread art throughout the community. When it comes to art, Levy has an eye for human body movements. “My heart is in the gestural image,” Levy said. She prefers sketching models, preferably dancers, who have more fluid movements and are more consciously aware of their bodies. After much experimentation, Levy has come to enjoy the gesture approach, which involves sketching live models in under sixty seconds with nothing but charcoal and paper. Sandra Ivany is another artist that has made her way to the Open Arts Studio Tour for her second consecutive year. “What makes my art different from the other artists at the exhibition is really up to each individual to determine,” Ivany said. Digital photography is her specialty, shooting everything from weddings and still life to her personal favorite — nature landscapes. Ivany has photographed for publications like The New York Times, LIFE Magazine and National Geographic Traveler. 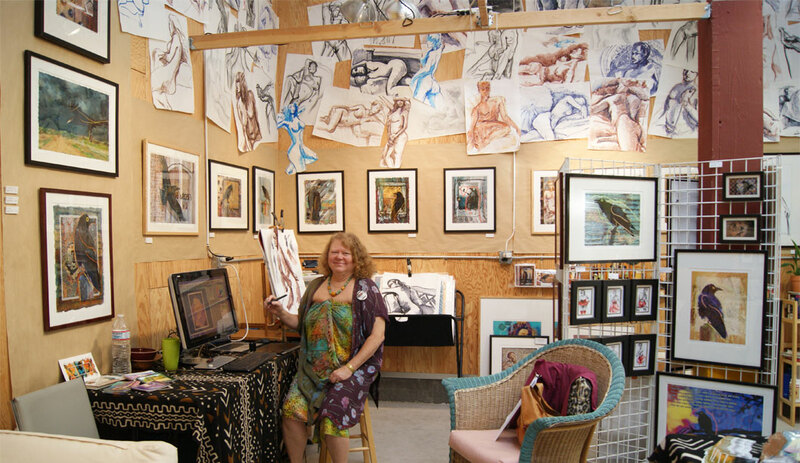 The Tannery, 17th Avenue Studios and Mission Street Studios are examples of venues hosting the Open Arts Studio Tour. All studios offer free admission and refreshments and are open 11 a.m. to 5 p.m.